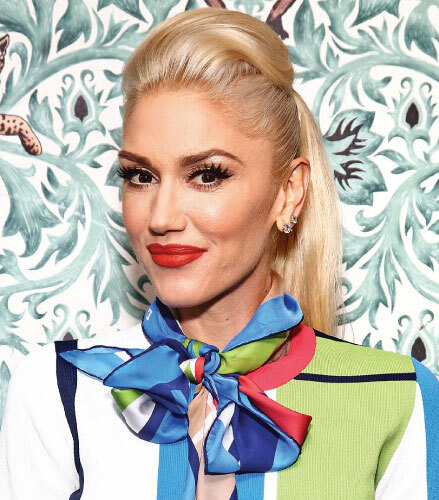 Representatives for the Hollaback Girl singer filed trademarks for P8NT, pronounced "paint", P8NT Beauty, P8NT Cosmetics, and P8NT by Gwen Stefani with the U.S. Patent and Trademark Office on March 17, according to TMZ.com. The trademarks will also be used for "Retail store services featuring cosmetics, make-up, beauty accessories, skin care products, lotions, hair care products, fragrances, and perfume" both online and in-store, as well as "Charitable services, namely, promoting public awareness in the field of beauty, fashion, make-up, cosmetics, and female education and empowerment." They also plan to launch a website which will feature videos and content which have educational and entertainment purposes, such as articles and tutorials "in the field of beauty, fashion, make-up, and cosmetics." This isn't the former No Doubt star's first time launching a collection. She launched her L.A.M.B. clothing line in 2004 and another titled Harajuku Lovers in 2005. She added fragrances to both lines - launching L perfume in 2007 to tie in with L.A.M.B. and five fragrances - Love, Lil' Angel, Music, Baby and G - as part of her Harajuku Lovers product line.